Improve your Sales Process through coordination and enhanced intelligence. Plumbing or carpentry plays a vital role in daily life. 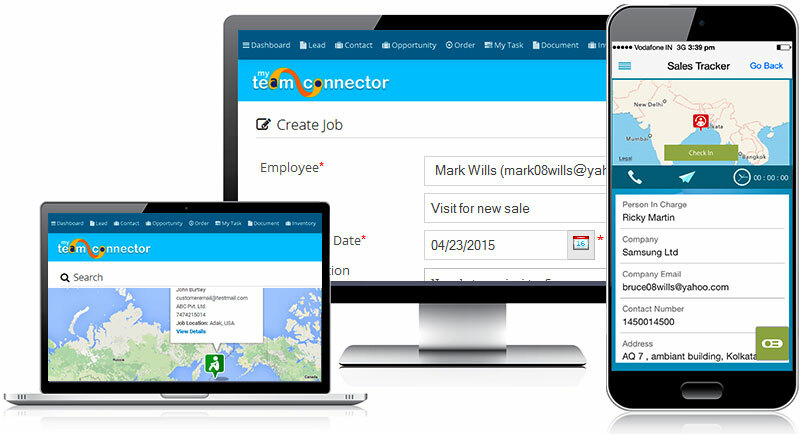 Our Myteamconnector Job Tracker has a wide scope in this industry. Jobs can be assigned the plumbers or carpenters. Can track the status of the assigned jobs. The mobile telecommunications industry is a large and important sector. Job tracker helps to build up communications between you and your customer and employees to provide better business solution. It has helped us to increase efficiency so we can focus on building client relationships. MTC has provided us the best ROI for what we wanted to achieve. This MTC product is very easy to use. What a great customer service! I like how it marks your current position, track job, allows to record customer’s reviews. MTC gave us what we needed; a simple, reliable, and affordable way to schedule works online. MTC allows us to increase proficiency and work output for each indivdual. Flourishing your business got simpler. Call our business expert today to resolve all your queries. With real-time insights and an effective and accurate sales strategy, our experts will help you to enhance business. Want to know a bit more about life cycle marketing and Job Tracker? Chat with one of our experts today! Our experts will closely look into the exact issue and route you to the most accurate and best possible solution. See how Our Job Tracker Works–inside and out. One of our business experts will get in touch with you and assist you in taking quick and accurate decisions and on-time actions.